I enjoy participating in organizations. This website and many other websites are built with Drupal, a very modular system. Learn more at Drupal.org. My Drupal username is GreenSkunk. 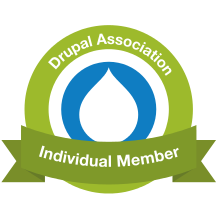 I'm a member of the WNYDUG (Western New York Drupal Users Group) online at http://www.wnydug.com. They have weekly Wednesday Hangouts (3 on Google Hangouts and 1 in Batavia or another location). They also have 1 yearly event in early Spring. Ellicottville Youth Soccer & SWCATTS Soccer. See my soccer page.